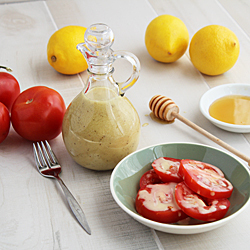 I wanted to try make a lemony dressing to eat with some delicious tomatoes I bought recently. I whipped up this salad dressing and I could have eaten it alone with a spoon. The dressing tasted wonderful with the tomatoes and I used the remainder up to dress a coleslaw mix. I need to make some more dressing because I never actually ate it with a green salad. But since it's a breeze to make, it will definitely be a "go to" salad dressing in the future. This is my all time favorite dressing! Thanks for sharing your recipe. I'll give it a try! 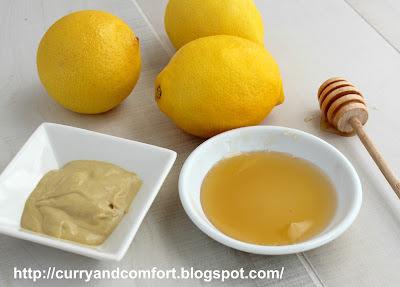 delicious dressing,fab presentation and clicks. Oh wow, this looks super yummy! This looks great. It is raw veggie time and I need some dipping sauce. The bottle is super cute. Can't wait to try this recipe. i LOVE homemade dressing! 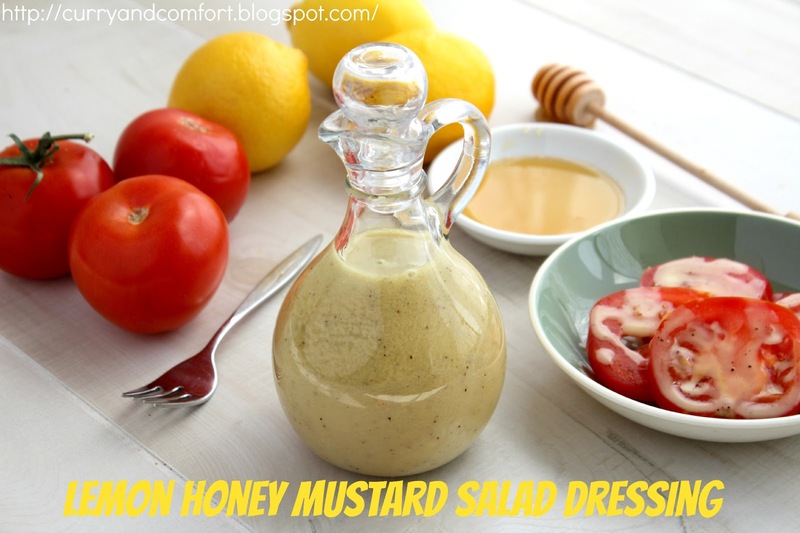 So I don't usually love mustardy things, but for whatever reason, I can eat in a dressing and this looks just scrumptious! I love mustard in the dressing! And 80% of dressing I use is somewhat citrus too! Yummy, you know me and lemons. Fresh and delicious! 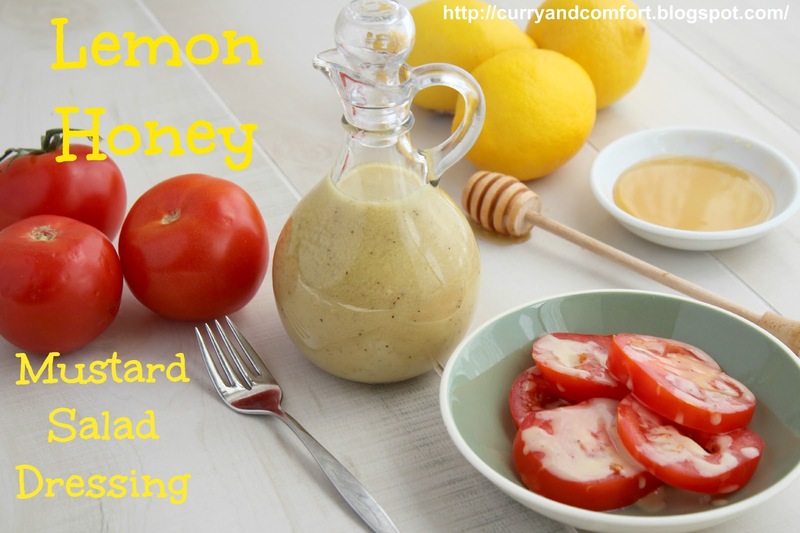 I double the honey for a slightly less tangy taste.